Dublin qualified for the O'Byrne Cup final in dramatic circumstances at Parnell Park on Saturday night in front of an attendance of close to 7,000. This highly experimental Dublin side will now face Westmeath, impressive victors over Longford, in the decider at Parnell Park next Friday night (8.0). After a frenetic finish in normal time that concluded with Meath freetaker Mikey Newman converting a free to force penalties the drama continued with Seán Tobin the only one of the Royal County's penalty takers to be successful as Mickey Newman and goalkeeper Barry Dardis shot over the bar while Thomas O'Reilly's effort was saved by Andy Bunyan. Dublin were clinical with all three takers Aaron Byrne, Oisín Lynch and Conor McHugh successful from the spot. The more experienced Meath side, backed by the wind, started the better with early points from Daragh Campion, Ben Brennan and Mickey Newman (mark) with Oisín Lynch Dublin's only scorer. Meath struck for their goal in the eighth minute when Barry Dardis' kickout was flicked on strongly from midfield and Dublin found themselves totally on the backfoot as their opponents worked an overlap well for Graham Reilly to fire past Bunyan to make it 1-3 to 0-2. Dublin rallied well with points from Lynch, a stylish point with the outside of the right boot, and a Stephen Smith free. As the half progressed Dublin's new-look team grew into the game with the likes of Robbie McDaid and Darren Gavin giving them a foothold in the contest. Points from Smith and Seán Bugler followed to make it 1-5 to 0-6 with ten minutes remaining in the half. Minutes earlier Dublin had claims for a penalty turned away after Robbie McDaid looked to have been fouled in the square. The Dubs, managed by senior selector Paul Clarke on the night, concluded the half in impressive fashion. In the 34th minute a well weighted handpass from Nathan Doran put Bugler in behind the Meath full-back line and the St Oliver Plunkett's/Eoghan Ruadh man set up Robbie McDaid who swept the ball to the net and by the break the sides were level after Ryan Basquel kicked the first of his four fine points from play overall. Points from Aaron Byrne and Basquel had Dublin 1-10 to 1-9 in front at the three-quarter mark and after the game went a bit flat for a short spell it finished with a flurry of excitement. 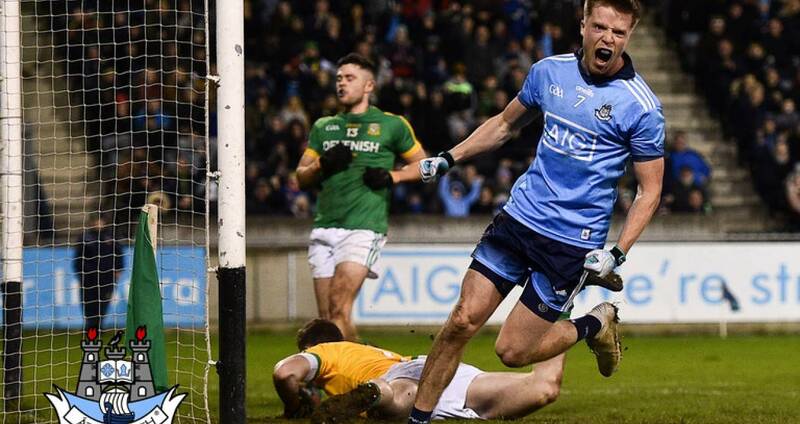 Seán McMahon and Conor McHugh both scored great individual points for the Dubs but deep in injury-time Newman converted a close range free to force penalties. SCORERS - Dublin: R Basquel 0-4, R McDaid 1-0, O Lynch, S Smith (0-2f) 0-2 each, A Byrne, S Bugler, C McHugh, S McMahon 0-1 each. Meath: M Newman 0-5 (0-4f, 0-1 mark), G Reilly 1-2, D Campion 0-3, B Brennan, J Conlon 0-1 each. 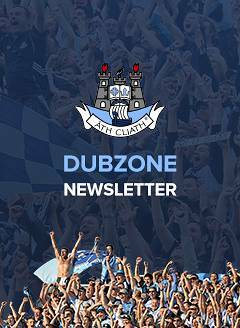 DUBLIN: A Bunyan; N Doran, S McMahon, CJ Smith; C O'Connor, C Mullaly, R McDaid; D Gavin, C Howley; R Basquel, A Byrne, S Bugler; S Smith, C Pearson, O Lynch. Subs: C McHugh for S Smith (46), C Reddin for Howley (46), A McGowan for Byrne (53), S Boland for Doran (53), G Seaver for Basquel (64), J Hazley for Bugler (71). MEATH: B Dardis; S Lavin, C McGill, R Ryan; J McEntee, D Keogan, N Kane; B Menton, A Flanagan; N Hickey, B Brennan, D Quinn; D Campion, M Newman, T O'Reilly. Subs: G Reilly for Hickey (blood sub, 10), Hickey for Reilly (23), Reilly for Hickey (ht), M Brennan for Dardis (ht), G McCoy for Quinn (ht), S Tobin for B Brennan (49), J Conlon for Campion (64).